Boost candy sales with a rotating candy display! Display candy using this spinning countertop display. 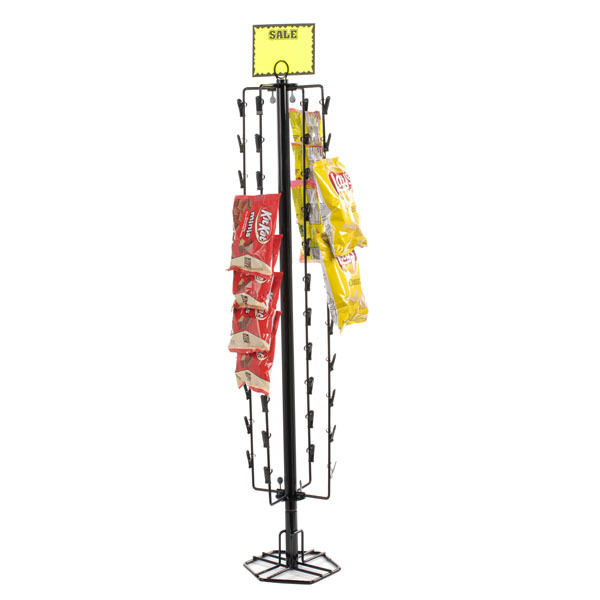 This candy display rotates so customers can easily view and select product. Total of 44 clips (4 strips with 11 clips each). Sign holder included. For even more items, we ask you to take the occasion to explore our full collection of candy displays at Specialty Store Services now.